The Association for Library Service to Children has awarded the 2019 Penguin Random House Young Readers Group Award to Alexandra Bell, Bloomington Public Library (Illinois); Jeanmarie Gielty, Cleveland Public Library (Ohio); Hadeal Salamah, District of Columbia Public Library; Dawn Wilbert, Decatur Public Library (Texas). The $600 stipend, made possible by an annual gift from Penguin Young Readers Group and Random House Children's Books, enables up to four children’s librarians to attend their first American Library Association’s Annual Conference. Applicants must demonstrate an involvement in ALSC as well as other professional and educational associations. New programming or innovations initiated by the applicants is highly valued. Fewer than 10 years of experience of working directly with children in elementary, middle schools or public libraries is required. At the sole library serving nine area schools, Bell is working to change the educator services model at the Bloomington Public Library to continue and grow partnerships with schools and educators. Along with her many established children's programs, and circulating STEAM kits, Bell hopes to bring in fitness programs, such as Zumba kids and a "munch and meander" walking program. She is currently serving as administrative assistant to the ALSC 2019 Notable Children's Book Committee. Gielty serves hundreds of children a week through in-library class visits, outreach to schools, and afterschool programs at the Walz Branch library in Cleveland Public Library, working to create enriching programs for at-risk families and children. Gielty partners with professionals to create a plethora of programming in Dance and Movement for young children, STEM programming for Middle Schoolers, Reader’s Theater, and hosts C.I.T.Y. (Courage Integrity Talented Youth) Boys, a program for 8-14 year old boys that addresses the total well-being of at-risk boys -- emotional, social and physical -- through projects and mentorship. In her daily work, Salamah does story time programming for young children, outreach to schools and child care centers, book clubs, and STEAM programming. She has initiated additional drop-in and pop-up programming to facilitate connections for caregivers and families. She also assists with system-wide collection development in juvenile, Young Adult media and French language materials and is serving on the Asian Pacific American Librarians Association (APALA) Family Literacy Focus Committee and GLBTRT Stonewall Book Awards Committee-Mike Morgan and Larry Roman Youth Awards, and is co-chairing the ALSC Building Partnerships Committee. In addition to regular programming and collections development for all youth services, Summer Reading, sensory programming, STEAM programs, a teen advisory group, and outreach to child care center and schools from elementary to high school, Wilbert has implemented a Kindergarten Readiness Program that allows parents to examine their child's skills and determine how they can help their child have a better start in kindergarten. Wilbert’s Exploration Stations, for students entering kindergarten through second grade, help students build and retain skills in math, reading, and writing throughout the summer. The Association for Library Service to Children (ALSC) is driven by more than 4,000 members dedicated to the support and enrichment of library service to children. Our members include youth librarians, literature experts, publishers and educational faculty. ALSC supports its members in engaging communities to build healthy, successful, futures for all children. 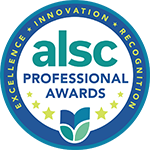 To learn more about ALSC and how to join, please visit: www.ala.org/alsc.